Transform the way your company works. Workplace is a fast-adopting platform built for collaboration & communication. Connecting every employee, wherever they're based, even those without an email address. Workplace is the modern, enterprise social communication platform for People to exchange ideas and it gives people a voice from across the organisation and uses secure mobile-friendly features like video calling, messaging and groups. It is simple to deploy and integrates with other best of breed tools to get work done. Imagine learning more about your company in one week, than you did in the previous 17 years. That was the reality for one HR manager at Walmart when they deployed Workplace last year. Workplace by Facebook reduces the distance between people by breaking down barriers and supporting better communication. Complete the form to book your free Workplace demo. Leading Workplace by Facebook Partner. Generation Digital helps organisations adopt Workplace by Facebook, from setting the vision, developing policy, implementation, integration, training, launch, governance and managed services. As a partner of Workplace by Facebook, and with a unique advantage of being one of the early adopters of this platform, we can help you fast track your own implementation of Workplace by Facebook and realise this platform’s maximum benefits, whilst bringing unparalleled collaborative productivity to your organisation. 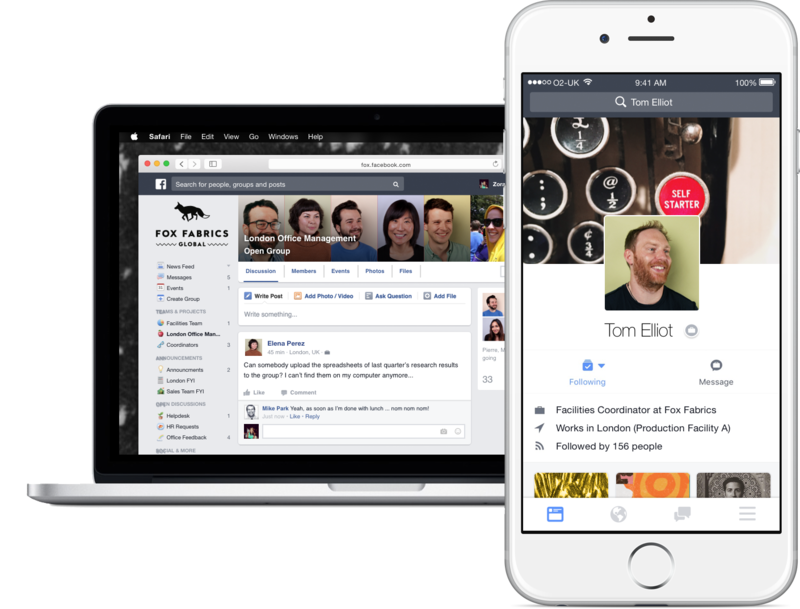 Interested in Workplace by Facebook?